The Spice MI-535 Pinnacle Pro flaunts a 5.3-inch display which is big but can still be used with one hand. It has a Quad-core processor. There is ample storage on the Spice MI-535 Pinnacle Pro. You can store upto 32GB of audio and video files on this device. It packs a humongous 2550mAh battery under the hood, which is rare. The phone’s call quality and sound output is not as good as that of Samsung phones. Although it has a 8MP rear and a 5MP front camera, don’t go by the numbers. The picture quality is not very sharp. Front camera is only adequate for video calling and not pictures. 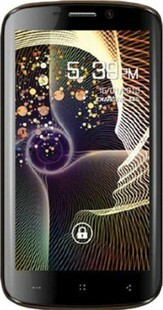 The Spice MI-535 Pinnacle Pro is available at a price of INR 6999. Spice Mi-535 Stellar Pinnacle Pro full specs and reviews as of Apr 2019. Buy it here!